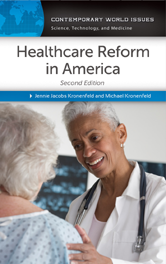 The second edition of Healthcare Reform in America: A Reference Handbook addresses these complex and difficult questions and many more in its thorough treatment of one of the most controversial issues in contemporary American discourse. This work serves as a valuable resource to high school and college students as well as to general readers wanting to learn about the history and current focus of health care reform in the United States. But, Isn't Single Payer “Un-American”?